Brain Age arrived in EU and Japan a while ago in late June, and it was the first DS game to be released on the Wii U Virtual Console (NA got snubbed, but oh well) It has been out a while with no other releases, but we’re hopeful. So hopeful that here is a list of the 10 most wanted DS games for the Wii U VC! -I am listing games I have, and a few I missed out on but have heard amazing things about. -Some are long shots, but we can dream, right? Lets get to the list! As a fan of strategy games, I will accept any decent strategy game with open arms. 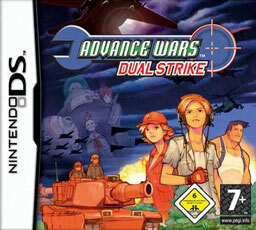 However Advance Wars is a good strategy game, a really good one. I have yet to play the DS games, but with my ~2 hour game time of the GBA original, I can say that it is indeed a good series. In fact the original is on the Wii U VC! Ok, let me start off by saying I don’t know much about this game, but I remember when everyone was talking about it; and they wouldn’t stop talking about it. If you can get a group of gamers that will still talk about a 6-year-old game, it must have been a hit. I’m not sure if it would work well with the gamepad/TV combo, but this game would be nice to have access to. 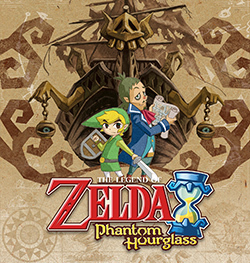 The Legend of Zelda: Phantom Hourglass and Spirit Tracks are the most obvious choices on the list. The touchscreen controls are loved by some but hated by others, just like Skyward Sword. Even if they are a little odd, Phantom Hourglass’ controls made great use of the touchscreen; and I think that the larger screen of the Wii U gamepad would improve the experience. With a larger screen you can see more while you’re slashing around the touch screen, something that I had a problem with in Phantom Hourglass. I wish to try Spirit Tracks someday, and maybe it will be on the Wii U VC. 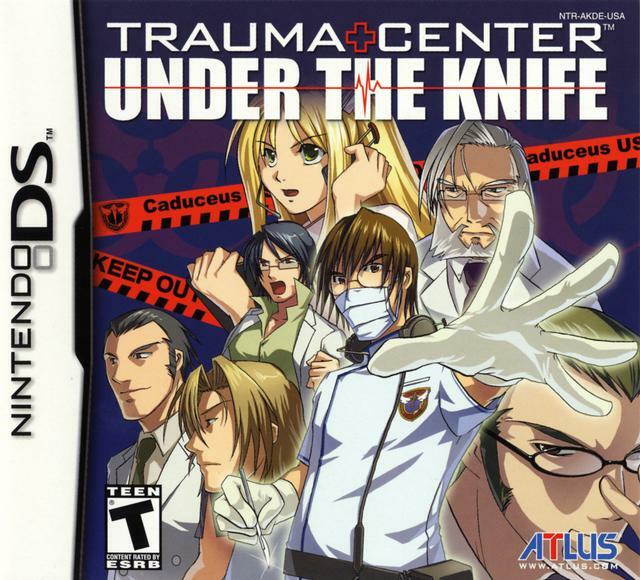 While I haven’t played Trauma Center: Under the Knife, I have played Trauma Center: New Blood, and I loved it. If you’ve played any game in the series, you will know that the series is difficult. It’s kind of fitting, considering the Trauma Center games have you play as a surgeon. It’s a creative and interesting concept, and I’d love to see some VC games that offer this kind of creativity. I have never been a big fan of GTA, but it seems like just about every other gamer is. The only GTA game to come out on a Nintendo console sold horribly, even though it’s the highest rated DS game on Metacritic. It’s sad that a big series like GTA couldn’t sell well on a system as popular as the DS, which is probably why we haven’t seen any signs of GTA on Wii U or 3DS. Even though I could argue why I don’t like GTA, a majority of gamers really love the series, and that’s why Chinatown Wars is on this list. If there’s one genre Wii U needs more of, it is RPGs. The Mario & Luigi games are a perfect fit, because the GBA original Superstar Saga is on the Wii U VC (fantastic game by the way) so why not add the rest of the Mario & Luigi games? Bowser’s Inside Story was a great RPG, and would fit well with switching from the TV to the gamepad. Partners in Time is yet another I haven’t played, but I heard it wasn’t near as good as Bowser’s Inside Story. Please Nintendo, give us more RPGs that the Wii U needs, even if that’s through a virtual console release. I didn’t have any interest in the Layton series until someone personally recommended it to me. So I looked into it, and ended up getting it as a gift from a relative. I immediately fell in love with the series. I loved the puzzles and the stories that came with them. So if I could go from zero interest to huge fan, why can’t others? The Layton series would be great for Wii U; you only need to focus on one screen at a time, so it would be easy to handle. Considering Nintendo and Level 5 just finished the main Layton series, it would be a nice revival of the first 3 games, or possibly a collection of them. 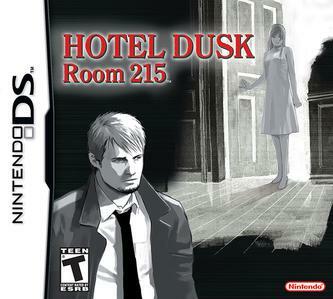 Hotel Dusk: Room 215 is the gem of the Nintendo DS that I never hear anyone talk about. The story sucked me in and remains my favorite story from any game I’ve played; It’s that good. The problem was it was a visual novel. A really good one, but nonetheless it wasn’t a “game” in a traditional sense. That’s not necessarily bad, a lot of games can rely on story alone to make a good game. Hotel Dusk received a sequel, Last Window, but it never made it to North America. (I’m still bitter about that) Before this goes into an article on its own, the last thing I’ll add is that Hotel Dusk uses the same hold-the-DS-sideways style of game that Brain Training uses, and that worked out quite well. 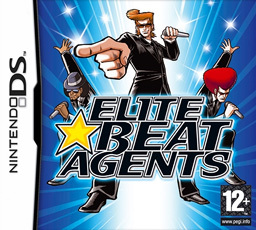 Elite Beat Agents was a lot of things. Goofy? Yes. Unique? Yep. Cheesy? You bet kid. Most importantly, it was fun. In fact, I don’t think I’ve had more fun with a DS game. Elite Beat Agents is a blast to play, the gameplay concept is something I’ve never seen from any other game, and it’s awesome. The biggest problem with bringing EBA to Wii U is the soundtrack. Honestly, when was the last time you heard Sk8er Boi on the radio? Soundtrack aside, I still think EBA needs to make an appearance in some form, and the Wii U VC might be a possibility. What did you think about this list? Were any games on this list surprising? What other DS games are you hopeful for? Do you hate some of these games and think I’m crazy? Join the discussion in the comments! I can't stress enough how amazing Hotel Dusk: Room 215 and Elite Beat Agents are, and they're both super cheap (both under $10 on amazon) If you own a DS, 2DS, or 3DS do yourself a favor and play these two. They're both a bit odd, but you will not go wrong with those purchases, especially for the price. In the words of Adrian Monk, "You'll thank me later"
Now if you excuse me I need to revisit these two games. @Gamergy your article is brilliant! I know it wasn't well received, but I would like to see the DS Golden Sun title released at some point because it was a good game despite its quirky flaws. @Rukiafan I never finished Dark Dawn, got stuck pushing statues on ice or something kept me from advancing. Haven't played it in a year or three. Golden Sun is on the GBA VC, and I believe Golden Sun: The Lost Age is on or coming to the Japanese VC. So maybe we will see Dark Dawn. I would like to see the Final Fantasy III and Final Fantasy IV remakes released. Great feature! I'd like to see more RPG's on that list though. Great feature I enjoyed reading! I agree with all of the games on the list! Great feature! Nice list, but Pokemon is missing from your list. Do you know how SICK.........Metroid Prime Hunters would look on WiiU. Id download that in a heartbeat. And the Dementium games. Oh man you got me daydreaming again. Those would be amazing titles to have as part of the service.